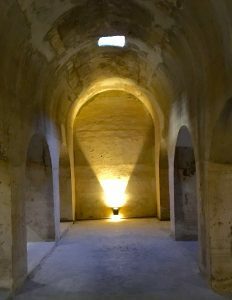 Water more than anything else wields mighty power in Granada, where the control and management of this precious commodity is chronicled by the ancient cisterns (called “aljibes”) and aqueducts found all around the region. 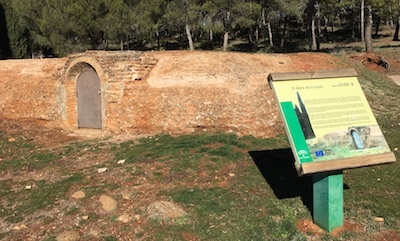 20th century water management technologies brought dams and reservoirs to the region and a tough but popular mountain bike ride is a grand loop to connect the five reservoirs (Canales, Quéntar, Francisco Abellán, Colomera, and Cubillas) that are dotted around the city’s immediate vicinity. (Update, July 19, 2018) Now that we’re in the hottest part of the summer, it’s a good time to mention how vital sunblock is to riding in Granada. The sun’s intensity along with very little cloud coverage adds up to solar warfare on your skin so you’ll need to fight back with sunblock that can withstand hours of direct sunlight, as well as sweat. We’ve tried lots of sunblocks with various SPF’s and the one that we like best is Banana Boat Sport Performance Sunblock with SPF 50+. What would be the absolute best is a 1-gallon jug of sport sunblock with a pump top, Banana Boat seems to be moving in the right direction with its family size bottle with pump top. Granada even has a kind of water museum in the Albaycín that you can visit Monday-Friday at noon. Entrance is free to the Carmen del Aljibe del Rey and the guided tour includes a description of the carmen’s restoration, an explanation of the aljibe and its significance to the Albaycín, and a trip down inside the cavernous aljibe. Water — the transporting, consuming, and sweating of, and consequent search for, generates more concern among cyclists here than elsewhere, probably owing to summertime temperatures that often soar above 35C/95F. Because of the heat, it’s advisable to head out for a ride no later than 8:30 in the morning and start climbing up to where the air is a little cooler, usually 1500m./4921′ and above. 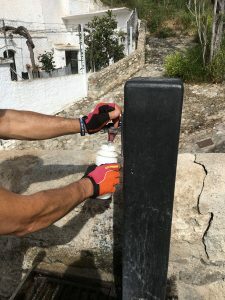 If you don’t have half the day to go exploring by bike, you can pedal through the the history of water in Granada plus take in some amazing scenery all in a 50km mtb ride that will last about 3.5 hours. 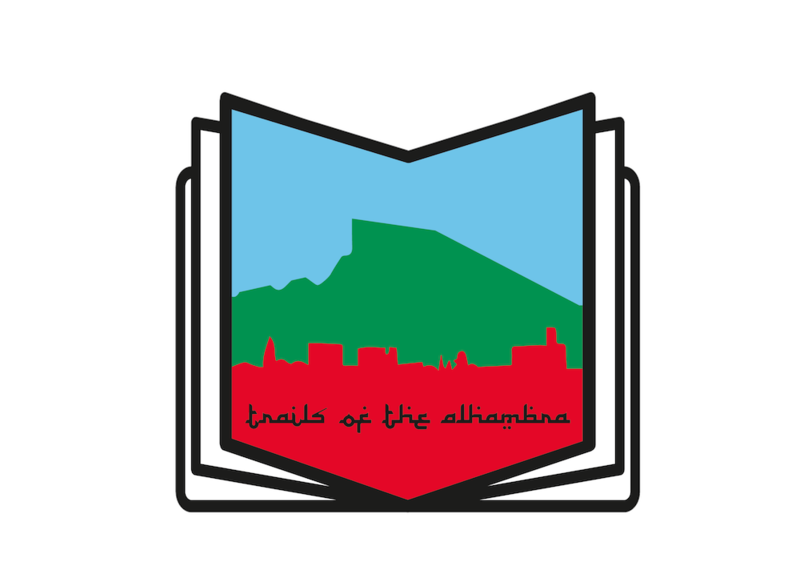 This route takes you along the southern flank of the Dehesa del Generalife toward the Alhambra past the “Canal de los Franceses,” an elaborate canal 16km (10 miles) long that channelled water to Granada from the Quéntar reservoir during the 19th century. You’ll pass by some caves on your way onto the grounds of the Alhambra; it is illegal to inhabit the caves but local authorities tend to look the other way on this topic. The Alhambra’s shaded avenues bordered by stone gutters with running water produce a sort of dreamy, almost narcotic effect so ride quickly, otherwise you might become enchanted and like us, you’ll never leave. On the way down the Cuesta del Rey Chico you’ll pass by the gigantic Torre del Agua (the Water Tower) and its aqueduct, which brought water to the Alhambra from the Generalife in its day. 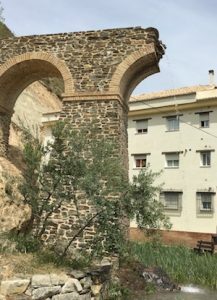 At the bottom of the descent you’ll cross the Darro river and immediately start climbing the river’s opposite bank before turning right and heading deep into the hills toward Beas de Granada, about 20 dirt road kms (12 miles) away. Climb a bit higher above Beas for the best views of the Sierra Nevadas; it doesn’t seem to matter what season, they always look stunning. Once you reach the top of the climb, you’ll turn left onto the dirt once more for a nice long descent toward the Quéntar reservoir. Don’t rush to ride over the reservoir dam, go slowly or stop even because the views on either side are nice to look at, plus you can prepare yourself for the last climb of the day up and over the ridge that separates Quéntar from Güéjar Sierra. 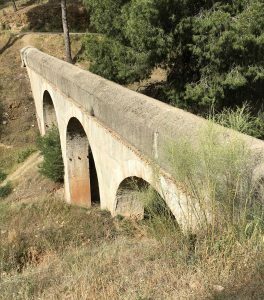 Once you reach Güéjar, it’s a flowy 7km descent on asphalt to Pinos Genil, where the route exits the main road and goes off-road by the Genil River all the way back to the starting point in Cenes de la Vega.